The show commences in St. Paul’s Community Centre, Clogheen on Thursday 26th July with a mantinee performance at 2.30pm. The organisers say a matinee show has been included this year as there have been many requests for such a performance down the years. 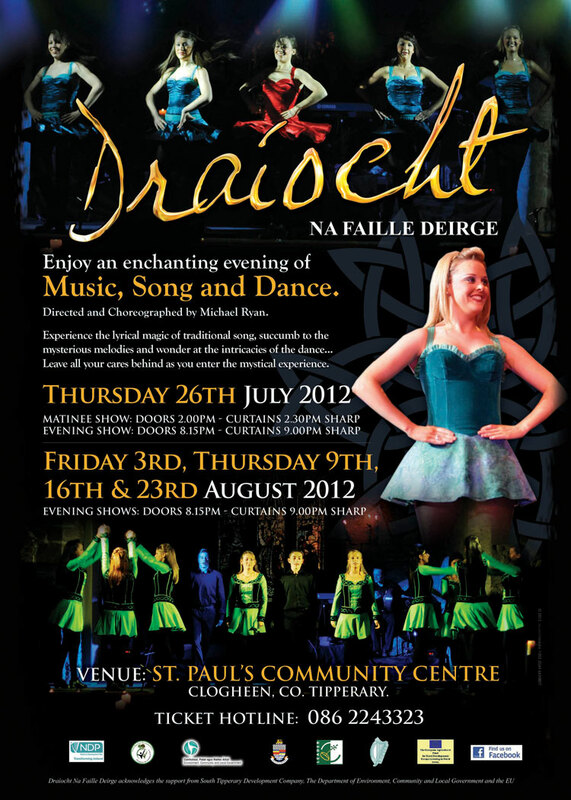 Draíocht continues in its sixth year with shows as follows: Thursday July 26th 9pm (doors 8.15pm), Friday August 3rd @ 9pm (doors 8.15pm), Thursday August 9th, 16th and 23rd. For booking contact 086 2243323. Tickets €15.00, Children under 12 years €10.00.